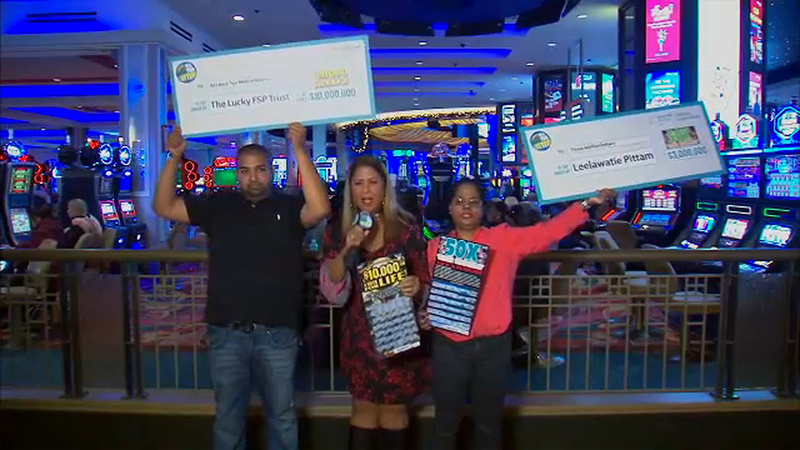 QUEENS, New York -- One lottery winner had a dream, while the other broke her routine leading them to become the newest New York millionaires. Leelawatie Pittam of Elmont almost didn't play the night she won. She was headed home from work, stopping for gas and buying lottery tickets. New York lottery winner knew she won, but didn't realize she hit a $3 million jackpot! Her usual lottery game wasn't available, so she purchased four 50X the Money scratch-off tickets. Noticing one was left on the roll, she spent an extra $10 and purchased a fifth ticket. That one turned out to be the winner. Pittam screamed in the store when she realized she won, but thought she won $300,000. Later, after sending her daughters a photo of the winning ticket, one of them noticed that she had won $3,000,000. She opted for a one-time lump sum of $1.5 million. Pittam plans to give up 1 of her three jobs, and take a trip with her kids to Disney World. New York lottery winner says he started playing a scratch-off ticket after dreaming that he won. Another big winner was Imran Mohammed, 29, from Queens. He said he started playing the $10,000 a Week For Life lottery game after having a dream that he won. Six months later, he hit the jackpot - to the tune of $10-million! Mohammed, a construction worker, says he doesn't plan to retire, but will work less. He also plans to use the money to pay off debts, buy a house and a sports car.